Marian Kopp has been recruited by Lauffener Weingärtner, the largest independent cooperative in the winegrowing region of Württemberg, Germany, to take the helm as its president / managing director. 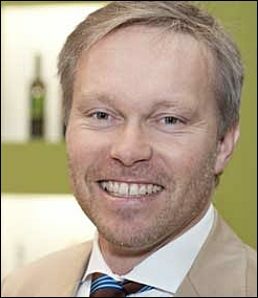 His previous executive positions were with Reichsrat von Buhl Estate VDP in Germany, Deutsches Weintor cooperative in Germany, and the Racke Group Donum Estate in the US. Kopp was also Golden Kaan wines’ founding president (South Africa). Kopp holds a degree in Business Administration from Frankfurt/Main University and is a member of Rotary International. He also lectures on wine marketing at the Bordeaux Business School. The Lauffener Weingärtner comprises of 870 ha (approx. 2,150 acres) of member vineyards with 1170 shareholders/members. The turnover 2012 was €22.7m.